List Rules Vote up the songs in Godspell you just can't get out of your head (not that you want to). Religious parables abound in Godspell, which premiered in 1971 and continues to see performances today. A combination of spoken word and song, the Godspell soundtrack strives to convey the teachings of Jesus Christ and Biblical wisdom for the audience. All songs in Godspell are full of wisdom and passion, but which song is the best? Here, you'll find the Godspell track listing ranked by fans! Godspell has plenty of songs that resonate emotionally. Even if you're not terribly religious, it's hard not to get excited when you hear certain tunes. "Day by Day” finds the cast singing about the power of taking things as they come. “Learn Your Lessons Well” details the difference between heaven and hell. 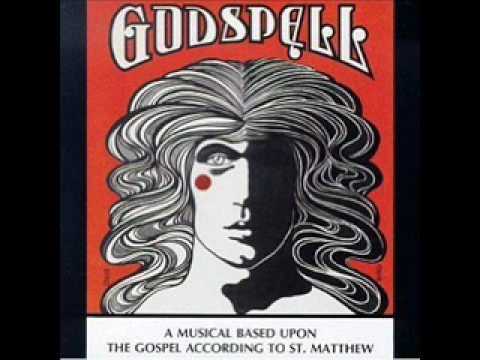 Give this Godspell playlist a listen and vote up the best songs!